After living in Canada for three years, my Korean husband has picked up several hobbies (gardening, extreme couponing, recreational soccer), but his newest, is by far my favourite. This spring, he decided to try his hand (no pun intended) at Korean Hand Acupuncture, or sujichim/수지침. He was so excited about this endeavour, that I had to wholeheartedly encourage him. He ordered books from Korea, as well as the necessary supplies to practice (acupuncture needles, dispenser, alcohol swabs, and moxa/mugwort sticks). Of course, I have been his guinea pig, which is fine by me, as long as he doesn’t hurt me too badly in his early stages of becoming an expert. 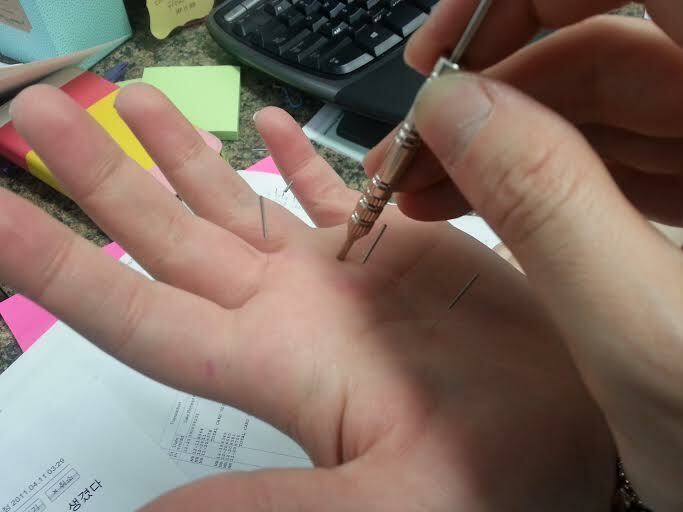 So, you may be wondering what Korean Hand Acupuncture actually is? It’s just like traditional acupuncture, in the sense that tiny needles are “tapped” into particular meridians and acupuncture points which correspond with different parts of the body. 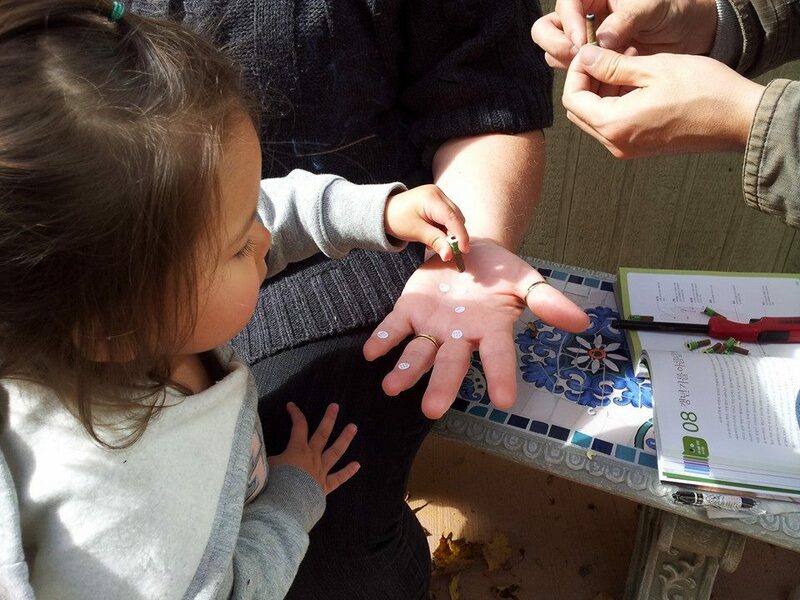 The hand itself contains hundreds of acupuncture points that make up a little map of the body’s organs. When these points are stimulated, the corresponding body part will be affected. With that being said, it is believed that hand acupuncture is just as effective as full body acupuncture in helping the body heal. My husband giving me suji chim at work. In addition to the sujichim itself, we have been using mugwort/moxa sticks (뜸), to boost the benefits. 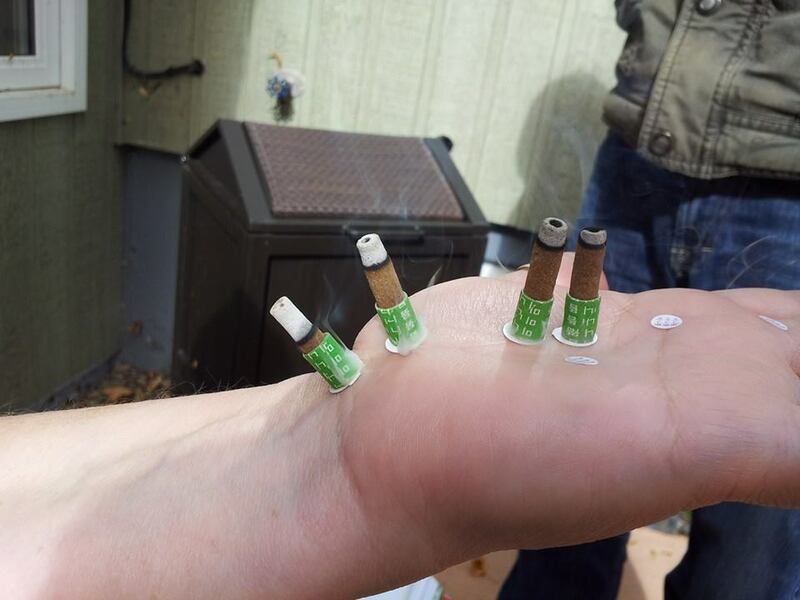 I, like many of you, had never heard of moxa (or moxibustion) before my dear husband asked me to hold out my hand, stuck some little brown pegs to my palm and fingers, and lit them on fire (Yeesh!). Upon further questioning, I learned that moxa is a traditional Chinese healing method, using the smoke from dried mugwort to stimulate the energy and blood flow in the body. I actually enjoy the smell (in a well ventilated area- oops, not my office at work), and have found that I felt quite refreshed after a moxa treatment. So far, my husband has experimented on me to help speed up the recovery from a cold and a sore back. After gaining three pounds this Thanksgiving week I asked him to give me sujichim for weight loss. He insisted it wasn’t necessary (thanks honey), but indulged my request. The jury is out as to whether the sujichim for weight loss will be beneficial, but I do have to say my sore back and cold definitely cleared up quickly! I’ve had some positive experience with Sujichim and I am a believer now. It sure works on back pains and indigestion! 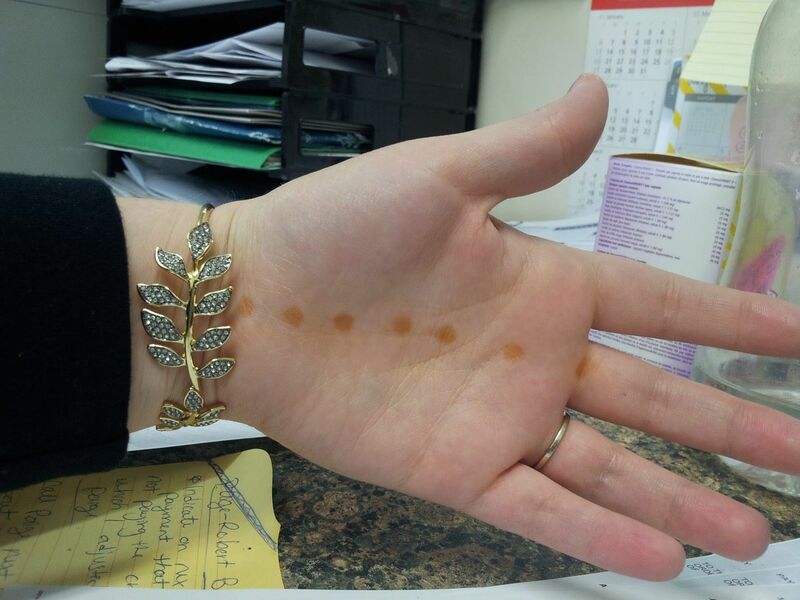 I too am starting to dabble in Korean hand acupuncture. do you have some links as to where to order the books. (in English).